Rasmus Ern is interested in how climate change-related stressors (e.g. temperature, acidification, salinity, and hypoxia) and other anthropogenic pollutants (e.g. oil) affects fish and crustaceans; why some species can survive under conditions where other species succumb, and the physiological mechanisms underlying these differences. Rasmus Ern received his bachelor’s degree at Aarhus University in Denmark where he worked with salinity and osmoregulation in fishes and crustaceans. During his Ph.D., he spent 2 years at Can Tho University in Vietnam where he worked with the effects of temperature on cardiorespiratory performance and oxygen supply capacity in crustaceans. 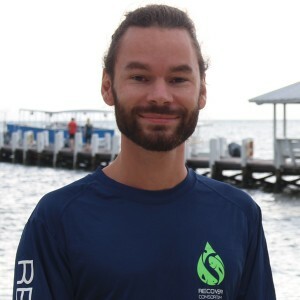 Rasmus Ern is currently employed as a postdoctoral fellow at the Marine Science Institute, the University of Texas at Austin, where he works with the ventilatory response of fishes to ocean acidification and the tradeoff between acid-base balance and osmoregulation. In parallel with his work on ocean acidification, he also studies the cardiorespiratory response of fishes to rising water temperatures and the link between scope for aerobic performance (i.e. aerobic scope) and thermal tolerance.